As a New Orleans landlord, you are always on call, have to deal with unexpected expenses, and may struggle to find reliable, long-term renters. You might be tired of being a landlord for several reasons, but there’s a simple, stress-free solution to your rental woes. Owning a rental property in New Orleans may bring in additional income, but it’s hard work. Some say, it’s like having a second job. It’s not for everyone, especially when your “passive” source of income proves to be anything but. There are several reasons a homeowner might want to stop being a landlord, from not having enough time, to not seeing the desired profit margin, to simply not wanting to deal with the hassle and the anxiety that usually accompanies being a landlord. You’re expected to respond as soon as anything goes wrong, and you’re expected to fix the problem. Even the best tenants require your immediate attention if there’s an emergency with the plumbing or anything equally serious. And don’t forget the daily hassle of dealing with any number of issues, from pets to neighbors to broken appliances. Ongoing maintenance costs, as well as unexpected, expensive repairs can add up, making it hard to earn a profit. Even touchups between tenants can be expensive. Sure, you can probably pull off a few things yourself, but bigger repairs must be left to professionals — with professional price tags. Even seasoned property owners may underestimate how much it can cost to keep a property in top condition. Real estate and rental markets fluctuate. When interest rates fall, demand for rentals drops too because buying becomes a better option. Lowering rents may keep you competitive but may prevent you from making money. And, if prices around you are rising and the neighborhood is improving, you may have to raise rent. This could filter out potential tenants, and mean a property sits vacant while you look. If the area your house is located in is gentrifying or if taxes are recalculated by the city, your property taxes may become too expensive, sending you into panic mode. Raising the rent immediately might not be an option, but how do you keep making a profit? Finding the right tenants can be a challenge. Having stable, responsible, long-term renters is ideal, but you may find yourself dealing with turnover, neighbor complaints, house damage, and more. The process of finding and screening tenants can be frustrating, exhausting, and time-consuming. Outsourcing it to professionals isn’t ideal, either, because it cuts into your profit margin. Getting rid of bad tenants can be a challenge, too. Disputes between your tenants and neighbors, disputes between you and your tenants, costly repairs due to abuse of property, going through the eviction process … none of this is fun, and it all falls on you as a New Orleans landlord. 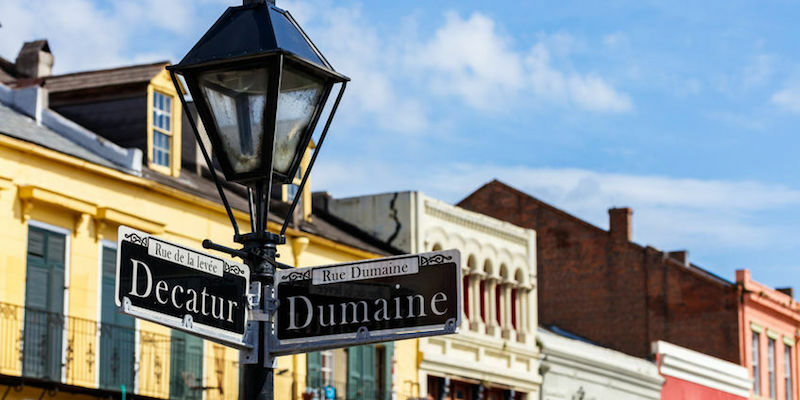 If becoming a landlord has turned out to be not worth the effort, or if your circumstances have changed and you simply don’t want to do it anymore, selling your New Orleans rental property to Big Easy Buyers might be the best option. You can get rid of your rental property problems simply and without stress. You can remove the burden of costly home repairs, avoid paying a commission to a traditional real estate agent, and close within 30 days. We’ll even take over your tenants so you don’t have to deal with potentially negative situations such as disputes or evictions. If you need to sell your rental property for cash, in as-is condition, contact us online or by calling (504) 513-7878.